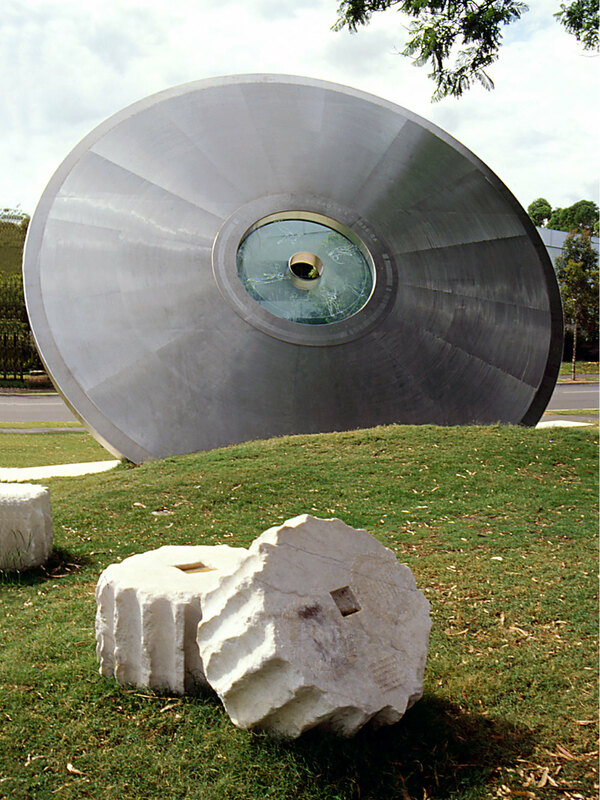 Robert Owen’s winning design for the Hellenic tribute to the 2000 Sydney Olympic Games is a unique sculpture installation celebrating the Greek origins of the Olympic games. 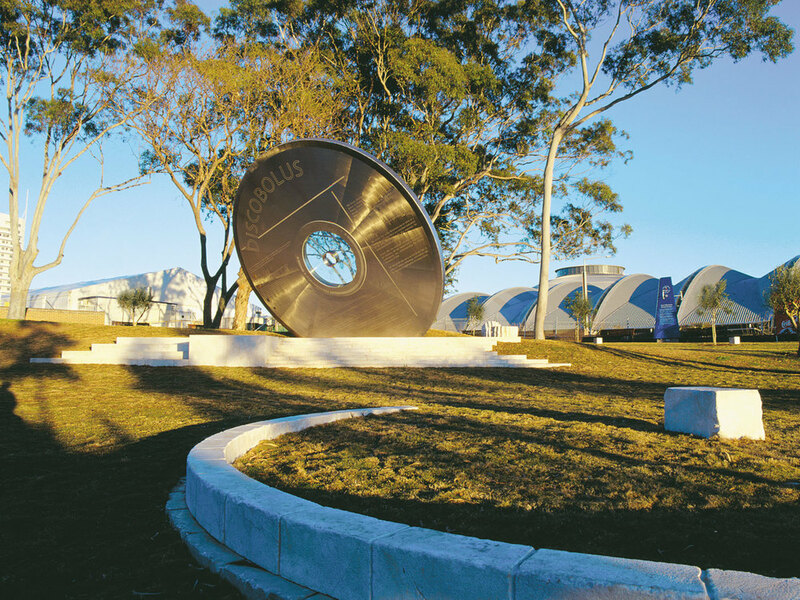 Funded by the Hellenic community of Australia, the public art project featured a seven-metre diameter, eight-ton stainless steel and glass sculpture, an olive grove, cypress trees and marble architectural fragments. 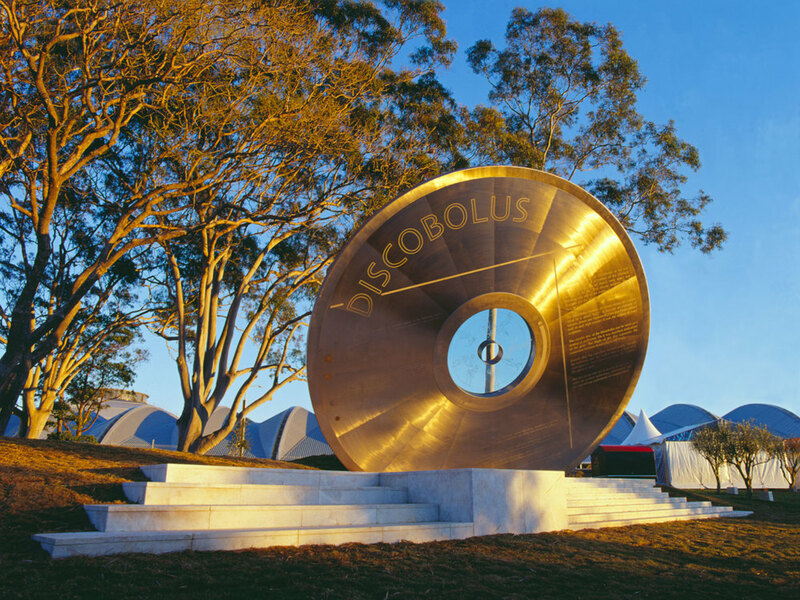 Discobolus is based on the original discus thrower, Castor, who has metaphorically thrown the discus from ancient Greece to the 21st Century, to land in Homebush Bay for the 2000 Sydney Olympic Games. The classical discus has transformed into a giant CD-ROM – a modern symbol of information technology and culture. Etched on one side of the sculpture is the CD label, which tells the story of the artwork in both English and Greek. Olive and cypress trees, symbols of peace and immortality frame Discobolus, and the architectural pieces (a circle of stone, stepped podium and five fluted column fragments depicting the five Olympic rings) recall the original Olympia.